Night FM Records was founded in May 2011 by Kid Vibes, and it was named after his first commercial release. The aim of this project is to market his music as well as the music of other quality producers and DJs. Although it is just being started, this record label sets high standards and professional business concepts at the very beginning, with ambition to become one of the biggest European house labels. Night FM Records publishes various types of house music which has become a global mainstream in recent years, first of all, commercial melodies which you can hear in all clubs and bars worldwide. This record label does not make any difference between established and non-established artists. It's all about music quality. Due to a great expansion of Internet, focused on digital age, it provides digital releases and distrubution the music online, and by it’s releases contributes the house music industry and raises house music to the next level. 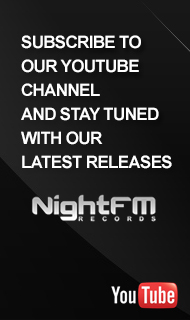 Oriented to the worldwide market, Night FM Records releases albums, singles, compilations, provides artist development, and underwrites the artists from all over the world.